Mary Atkinson, brings over 20 years experience to the firm. 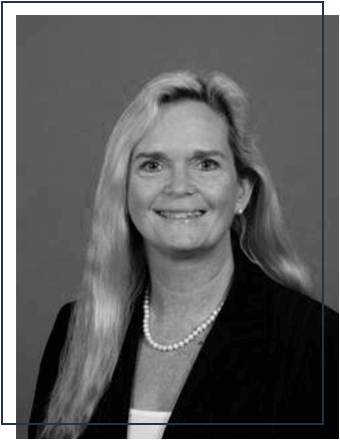 Formerly with Morgan Stanley and Merrill Lynch, Mary is fully registered (Series 7, 63 and 65) and holds her insurance license, in addition to two AS, Legal Office Management and Business Management from St. Johns River State College. Mary is active in the community and is a long-standing member and past President of the GFWC Jr. Woman’s Club of St. Augustine. Mary and husband John live in St. Augustine Beach. They enjoy kayaking and traveling. They have four grown children and three new grandchildren.